I passion of mine is looking deep into science and research behind living longer. I’ve studied medicine all over the world in India, Sri Lanka, China, Europe, and the US. I’ve also read thousands of books on wellness, anti-aging, and how centennials (those living to at least 100 years old) have accomplished this feat. The sooner you start living a healthy lifestyle and correcting your imbalances the better. This means working on your diet, exercise, sleep, stress reduction, detoxification (eliminating heavy metals and other toxins), and optimizing your hormones. And of course all of this sounds quite complicated, so what I did was went ahead and just simplified the process. The #1 thing you can do is lose weight and reach a healthy body composition. This doesn’t mean you should be super thin, or you have to have well defined abs. You don’t… But you do have to keep your BMI within 19-24.9 (here’s the chart to see where you are), and ideally the smaller the waist the less chance you have for disease. Our private clients use our Dr. Cabral Detox to begin the healthy eating and cleansing process to achieve their ideal goal weight, lose weight, detoxify, and optimize blood sugar and hormones (This one 7, 14, or 21-Day Dr. Cabral Detox addresses many of the anti-aging criteria). 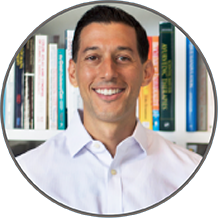 If after completing a 21-Day Dr. Cabral Detox you’re still struggling with any wellness issues (skin, digestion, auto-immune, inflammation, pain, mood, etc. 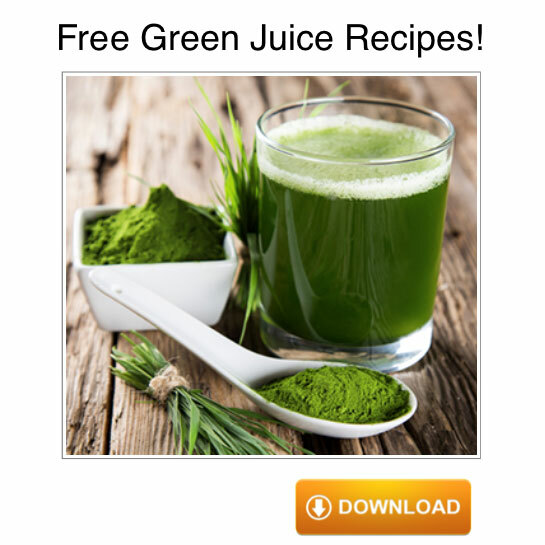 ), it’s recommended you look deeper into your health. 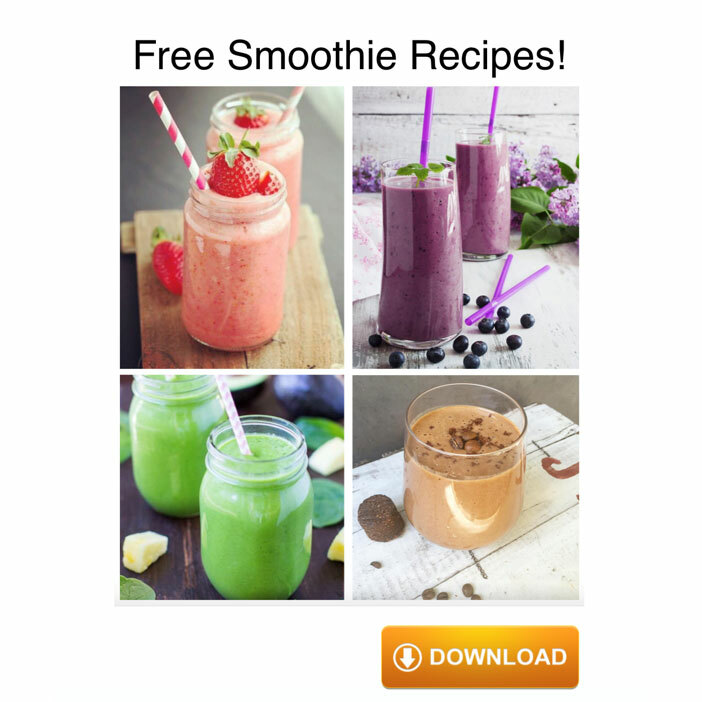 This means finding out what the underlying imbalances are that are keeping you from achieving the energy, mood, health, and quality of life you need to live longer, stronger. And that’s because if you do not optimize your health (the sooner the better), the likelihood that you’ll live as long as you should greatly decreases. The reason for this is that the top 5 causes of mortality (death) are preventable lifestyle diseases caused by modern day living. So by checking your overall bodily function/heavy metal toxicity, gut/digestive function, inflammation, food sensitvities, and hormones you’ll know what’s out of balance and what needs correcting. The final step to optimizing your anti-aging protocol is to run a genetic test, which looks deeper into your DNA. And that’s a good thing – not something to be worried about. Because once you know what you’re at risk for, we can go about creating a program that specifically addresses those risk factors and hopefully nullifies them, so they never become an issue. This is called epigenetics and we know now that your inheretied risk factors typically only account for 5% of all disease and health issues. This is an amazing thing and shows you that althought it is genetics that loads the gun, it’s really your lifestyle that pulls the trigger. But you must start now. Live Longer Stronger – Starting Today! 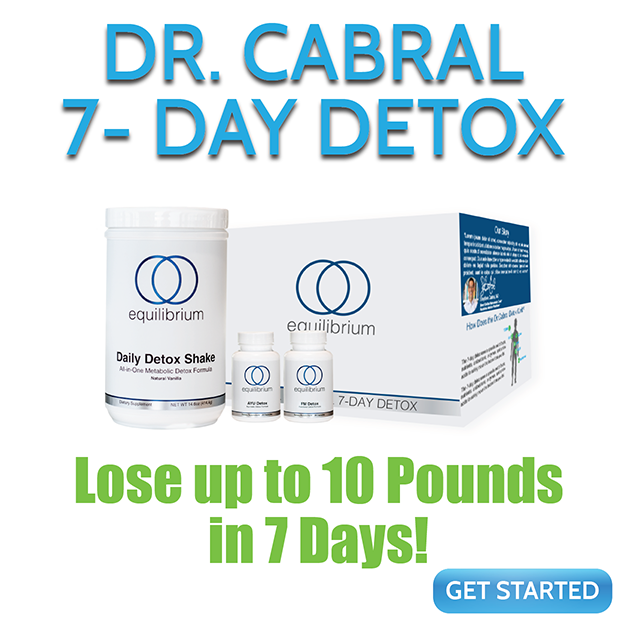 First, lose weight using the Dr. Cabral Detox method and maintenance plan (or a science-backed equivalent guaranteed to get you results) . Once you get down to your goal weight or within a healthy BMI range, move onto to step 2. Second, meet with a Functional Medicine Doctor, Naturopath, or Health Practitioner to address your hidden underlying root causes keeping you from being at your best and still suffering from certain unhealthy symptoms (poor sleep, mood, energy, skin, digestion, pain, etc.). Or, let me and my team help you correct these imbalances. 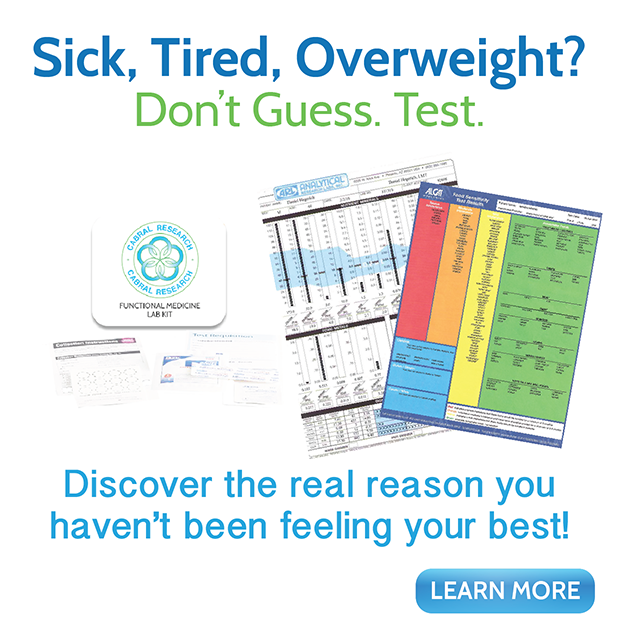 Simply email us for help, or take back control of your own health by visiting my online store and choosing the at-home lab test(s) that fit your needs. 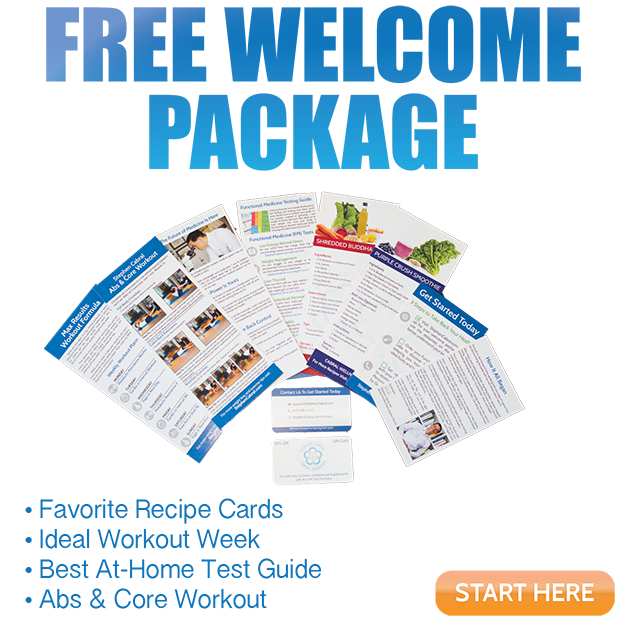 Each lab test comes with a personal review and Personalized Wellness Plan ® created by me. You even get a 1-on-1 consultation to review your results and plan with our Holistic Health Coach & Nutritionist! Third, make sure you discover your hidden risk factors locked into your DNA by running a genetic test. These items can’t change, but they also don’t have to become an issue once you know how to keep them from expressing themselves. This genetic test is great for everyone in the family (especially kids! 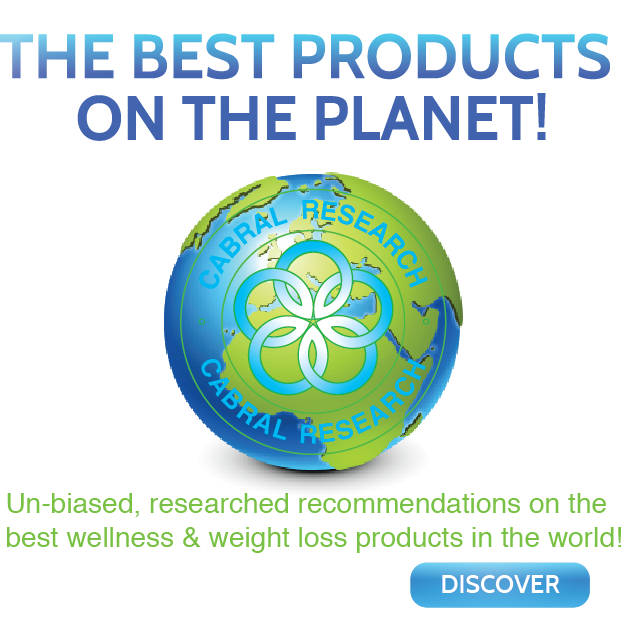 ), so that everyone knows their risk factors and how to live an amazing life full of health and wellness. Our genetic test comes from the #1 lab in the world out of Australia and provides more usable information about yourself then any lab I’ve ever seen. And since this is the same lab I’d want to run on myself (and I have), I’ve chosen it as the one to provide my private clients – including you. But when it comes to our health, unfortunately this isn’t a good thing. Poor health doesn’t develop overnight – it builds one day at a time. My suggestion is that you take action today! It’s really not that far away and you can achieve this by following the simple, straight forward suggestions above. I wish you all the best in life and please let me know if there’s anything I can do to make this journey any better for you.